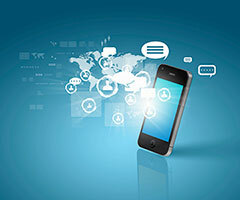 With the incredible pace of today’s mobile world, the boundaries once separating mobile network operators and other mobile service providers have become increasingly blurred. It used to be that operators owned and operated the networks, and other providers supplied things like equipment and services to connect and optimize these networks. Now, however, the rapid advancement of new technologies and service models has made the relationships between operators and other providers more complex. In a new article in Telexchange Journal, “The Power Behind Telecom Thrones: Virtual Communication Technologies and Their Vendors,” I offer some perspectives on this industry shift in an interview. In particular, I address the rise of virtual communications, and I touch on everything from the future of LTE and IPX, to the evolution of roaming and messaging services, to the role of over-the-top (OTT) providers and other mobile service providers. I invite you to read the post, and if you have any thoughts on these rapidly changing areas of mobile, please share them in a comment. Ben Bannister is a former Senior Manager of Product Marketing at Syniverse. « What’s in Your Information Wallet?